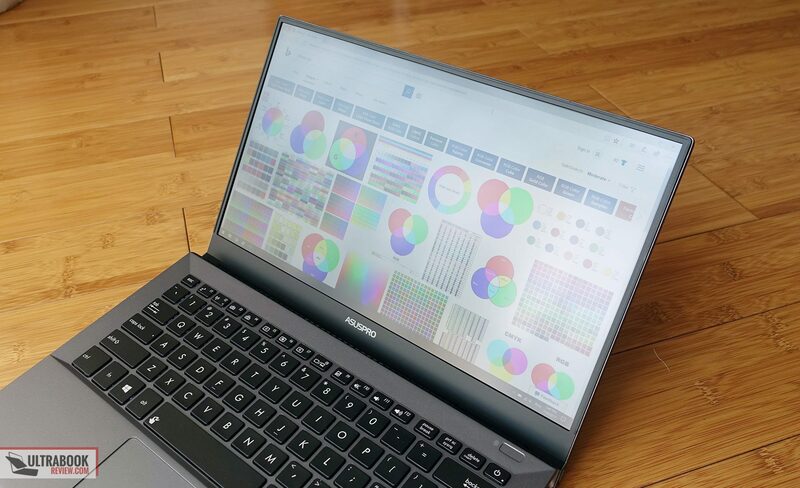 Summary: The Asus Pro B9440 is a thin-and-light laptop with an excellently built MIL-grade shell, an excellent keyboard, a nice matte IPS screen and capable speakers, as well as a laptop that can handle regular tasks smoothly while running cool and fairly quiet. 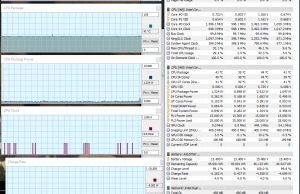 Battery life can be a concern though, as well as the limited IO and the fact that the fan inside is active all the time. 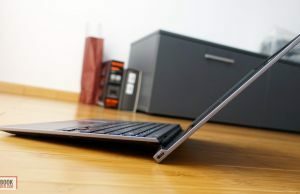 What you should keep in mind is that the Core i7 configurations struggle to maintain consistent performance in heavier loads, which means there's much more value in the more affordable Core i5 configurations and you should consider this laptop for regular everyday use and not for demanding work activities. Read on for the whole story. 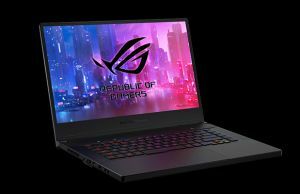 Asus are mostly known for their ultraportable line of Zenbook laptops and their ROG line of gaming notebooks, but they also tap into other segments. 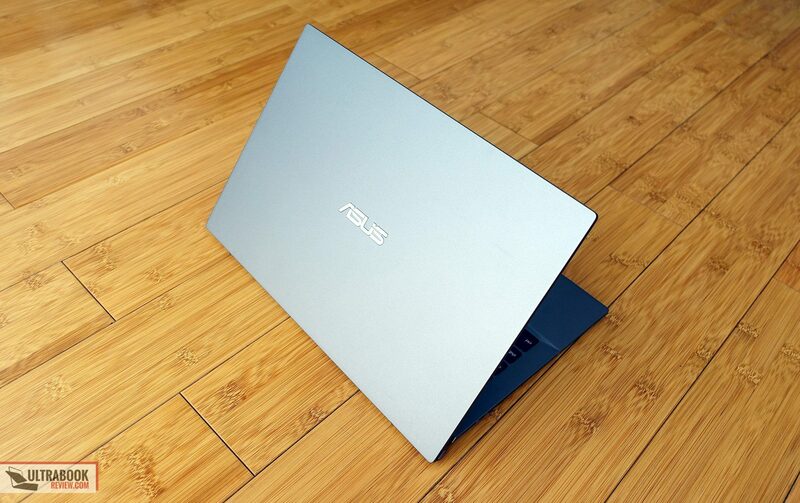 The Asus Pro for instance is a limited series of portable computers meant for business environments, and the B9440 model is one of the most interesting offers as of Mid 2017. The Asus Pro B9440UA is a compact and light notebook with a 14-inch matte screen and slim bezels, built on the latest Intel Core U hardware and spiced up with a few interesting traits and features professional users would appreciate: an excellent keyboard, sturdy magnesium-alloy construction, TPM, Anti-Theft technology or a fingerprint reader. 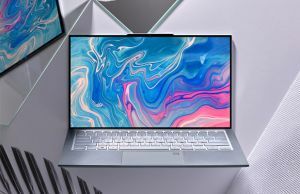 It’s also more affordable than similar options offered by the competition, but its somewhat unusual form-factor, limited IO and only average battery life might steer some of you away. We’ve spent some time with the B9440 and gathered all our impressions below, with the goods and the quirks, so read on to find out more. 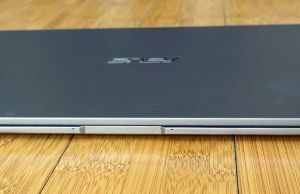 When I first got the B9440 out of the box my thoughts were Hey, this is what I’d expect from a modern business laptop: a boxy design with perpendicularly cut edges and very simple looks, but at the same time a narrow profile and reduced weight. 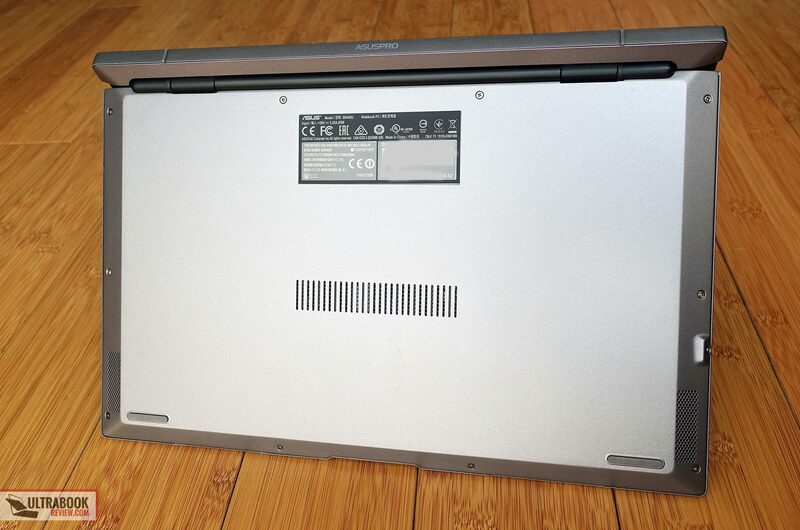 This laptop gets an unibody magnesium shell, and I for one like how it feels and looks. Some might find it a little cheap though, as it actually feels a lot like a hard-plastic to the touch. 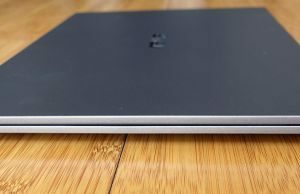 It’s difficult to put it in words, but is nothing like an aluminum unibody or the rubbery cases of the Dell and Lenovo business notebooks. My favorite thing about this finishing is the fact that it doesn’t show smudges, unlike metallic surfaces or the carbon-fiber on my XPS. I can’t tell how well it’s going to age though. 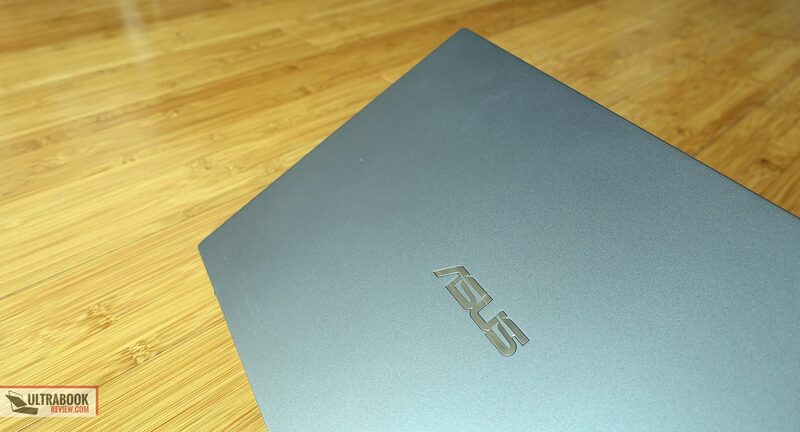 Aesthetics aside, this notebook is sturdily built and doesn’t flex or give in either the lid or the inner deck, despite the fact that both are only a few mms in thickness. 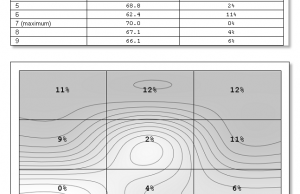 It’s actually MIL-STD 810G approved and you can find out what this means from the picture below. 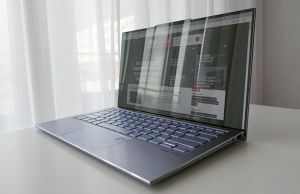 The B9440 does get a somewhat unusual form factor: it’s a normal clamshell laptop, but the screen lifts on rubber feet like on some of the old Sony Vaios. This happens easily with a single hand and there’s a conveniently placed crease on the front to grab the display from. 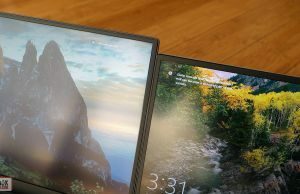 The hinges are in charge of keeping the screen attached and they work smoothly and allow it to go back flat to 180 degrees. 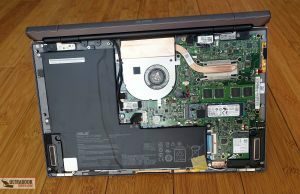 Before I actually got this laptop I was afraid the build could negatively affect the its grip on a desk or cause the screen to wobble in daily use, like on those old Vaios I mentioned earlier, but that’s not the case at all. 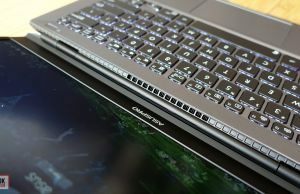 In fact, the B9440 is excellently anchored on a desk and the downwards inclined interior makes for a more ergonomic typing position and lowers the somewhat harsh front lip to a point where the wrists never come in contact with it. 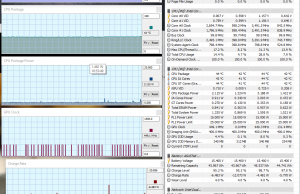 The laptop is stable on the lap as well, so overall this form-factor actually works. On the other hand, it’s different but not necessarily better. It brings the screen a little closer to the user, but has two inconveniences. 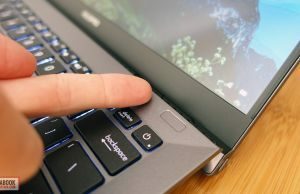 One, the main-body is smaller than on a regular clamshell laptop with a similar footprint, which leaves less room inside for the components and battery, and second, those rubber feet at the bottom of the screen could wear off in time and at that point the laptop would end up leaning on the magnesium surface, which could could start to wear off and perhaps look a little ugly. That former aspect is the one that actually matters though. 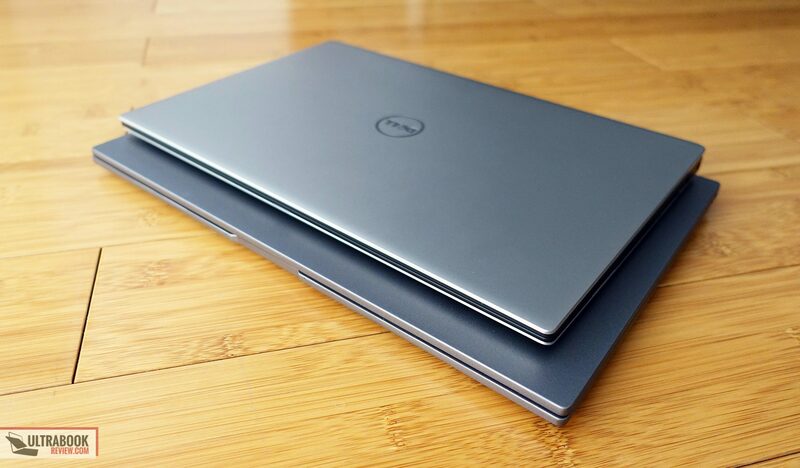 Below you’ll see the B9440 next to the XPS 13. 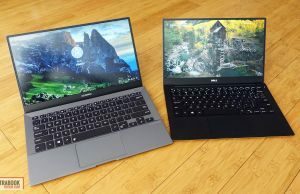 It has a bigger footprint, partially justified by the larger 14-inch screen compared to the 13.3-inch screen of the XPS, but it’s about the same height and a little lighter (2.4 vs 2.7 lbs). 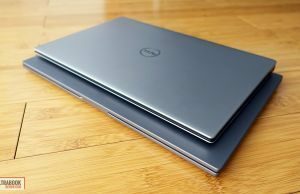 Yet here’s the catch: the XPS actually offers proper IO around the sides and a larger 60 Wh battery, while being more compact and on par in terms of build quality. 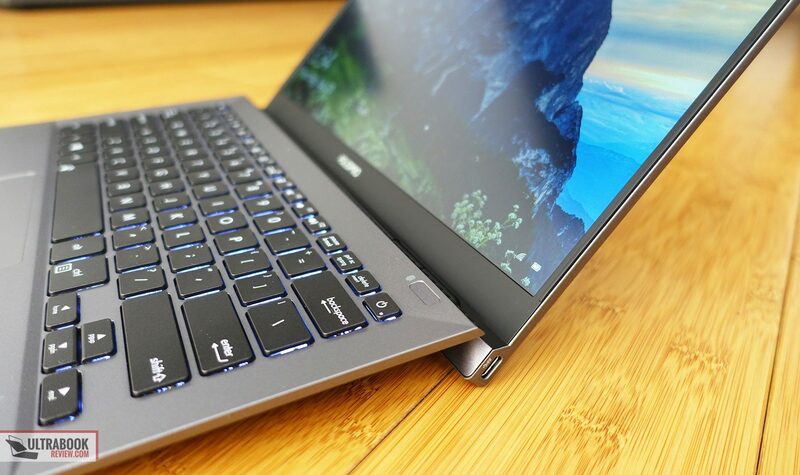 The B9440 only gets two USB Type-C ports and a headphone jack, plus a 48 Wh battery. 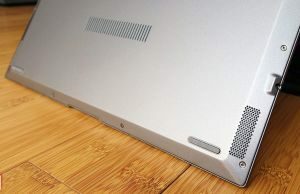 There’s also no webcam on the B9440, not even beneath the screen like on the XPS, but at least you get microphones for potential calls, somewhat inconveniently placed on the front lip (as they can be covered and muffled by your hands while typing). 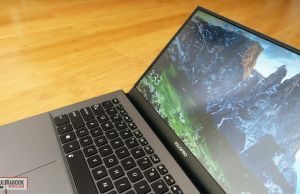 This approach with USB-C only connectivity is more and more common on ultraportables these days, but there are two aspects we have to consider here. 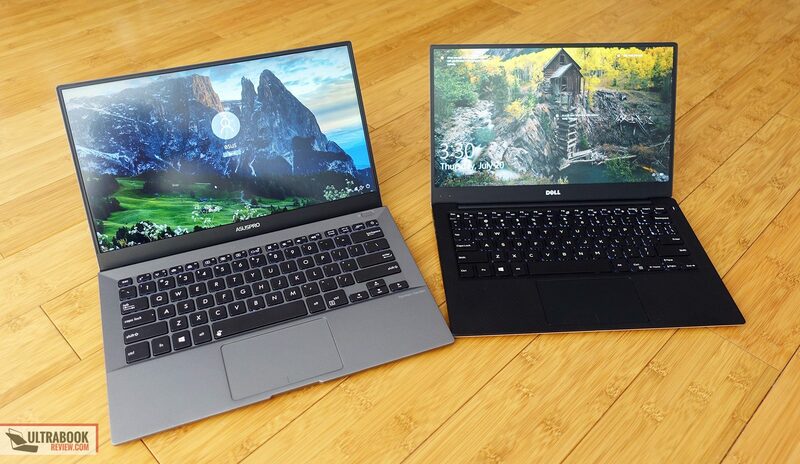 First, these are not Thunderbolt 3 compatible, which limits their capabilities, and second the B9440 is supposedly a business notebook and I believe its target audience needs a proper IO. You do get a mini-dock included in the box (didn’t came with my test sample though) that gives a full-size USB-A and a HDMI port, and there are more capable USB-C docks available out there (including some from Asus), so perhaps this might not be a deal-breaker for some of you. 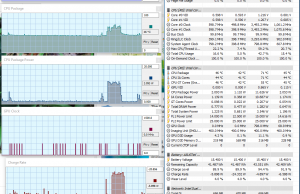 But let’s get back to the form-factor. 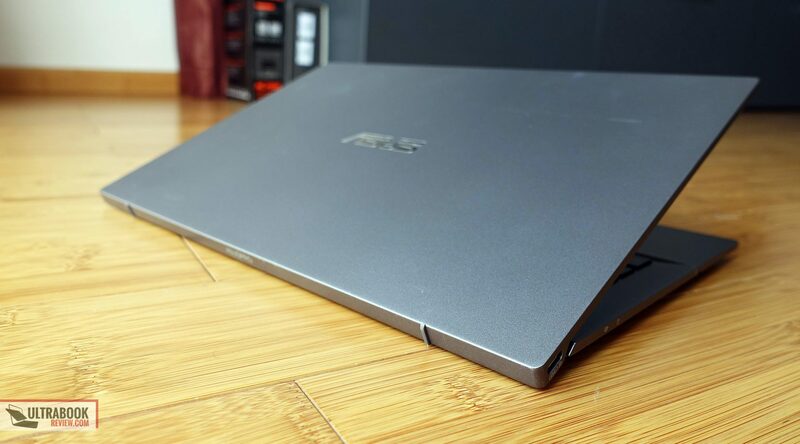 Aside from the fact that the screen is longer than the main body, flipping the laptop upside down you’ll notice that the main body tappers towards the sides, which leads to narrow lateral edges that can’t accommodate ports, as well as some space lost on the inside. 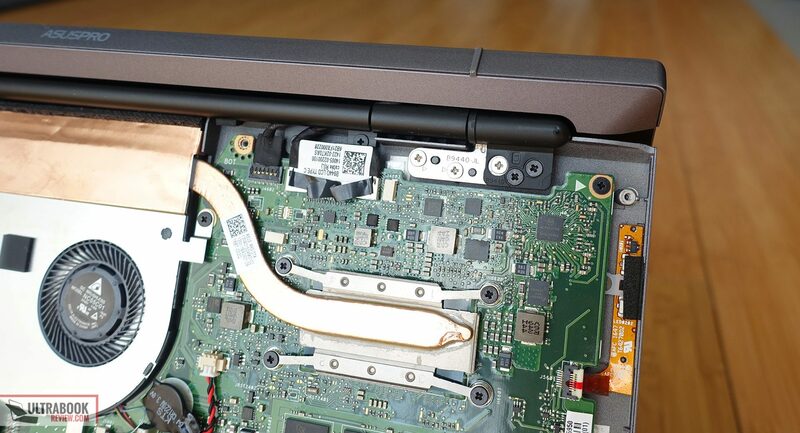 The picture below shows that there’s a strip of space unused around the entire laptop, underneath the tapered part of the back panel. And that for me is compromising functionality for the sake of aesthetics. If I were in charge of creating this product as the best business ultraportable on the market (not the lightest, slimmest or a “different” computer), I would have stuck with a paralelipipedic main-body that would have allowed me to use every inch of the space inside, and then I would have gone with a standard clam-shell design, that would have again maximized the internal space I could get out of the footprint. On top of these, I would have made the laptop a little thicker, 2-3 extra mms and a few ounces wouldn’t have jeopardized portability, but, BIG BUT, all these combined would have allowed for more room inside for a bigger battery and for a cooling solution that could actually keep a Core i7 configuration at bay in demanding loads, which doesn’t happen in this case, as you’ll see in a further section. 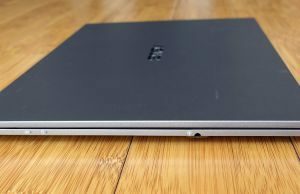 So all in all this B9440 is a nice laptop with good looks and excellent build quality, as well as an interesting form-factor. 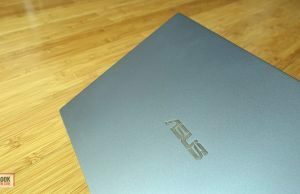 But once you start to look behind the covers you’ll notice that it could have been a much better business computer if Asus didn’t try to reinvent the wheel here and compromise functionality for the sake of aesthetics and a different build. On a more positive note, the keyboard is one of the better available on a ultraportable these days and the trackpad is pretty good as well. 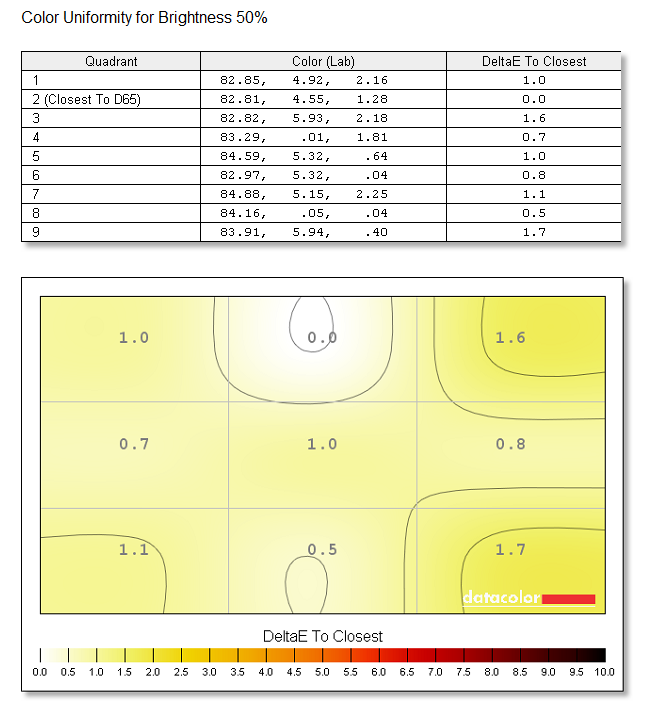 The layout is standard, with full size 15 x 15 mm keys, proper spacing and a slight concave shape. 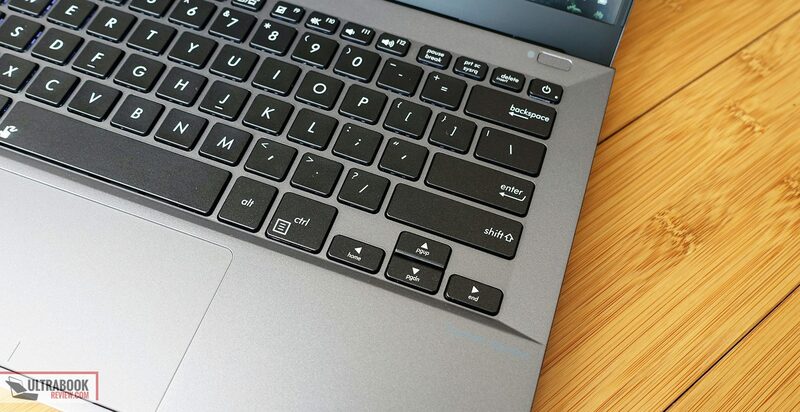 The keys have a smooth finishing and feel very nice to the touch. 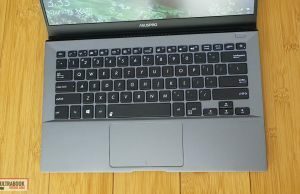 Their click and feedback really put this keyboard at the top of the class though, corroborated with a slightly deeper stroke of 1.5 mm than what you’d normally get on an ultraportable. 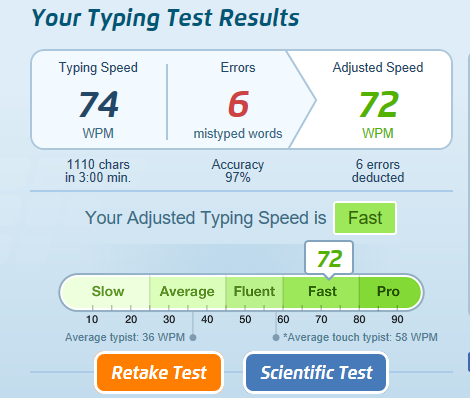 I touch type and the slightly taller keys take a very small toll on the speed and have a little more clatter than the keys on my XPS 13, for instance, but the overall experience is superior and one of the best available on any of the thin-and-lights I’ve ever got my hands on. The overall frame’s sturdiness and perhaps the slight downward inclination caused by the form-factor have an impact on the experience as well, but I don’t think this latter aspect is crucial in the mix. The keyboard is spill resistant according to Asus, and also backlit, with white LEDs. Unfortunately I don’t remember if the illumination comes on when swiping the fingers over the trackpad and no longer have the laptop around to do give it a try, but perhaps you can let me know in the comments section. 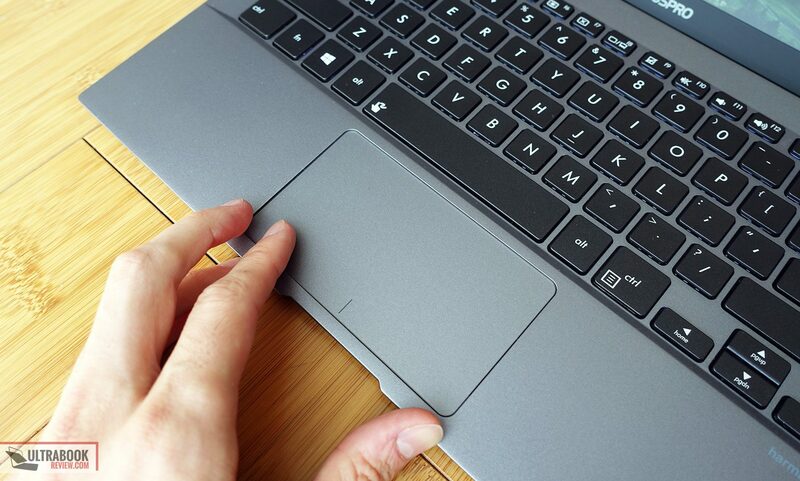 The trackpad is a little short, one more consequence of the form-factor, which doesn’t leave a lot of space beneath the keyboard. It’s a plastic surface as far as I can tell ( or perhaps magnesium? ), what matters is that the fingers don’t glide as easily on it as on glass surfaces. 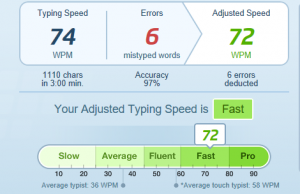 And given this is an Asus TouchPad there’s no way to adjust the speed and sensitivity from the settings, which means you either like it out of the box or not. Luckily the overall experience is pretty good though and I haven’t run into any glitches or weirdness. 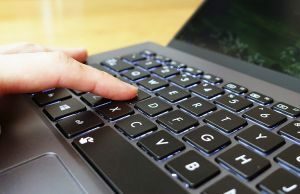 The click buttons are alright as well, nor noisy or stiff. 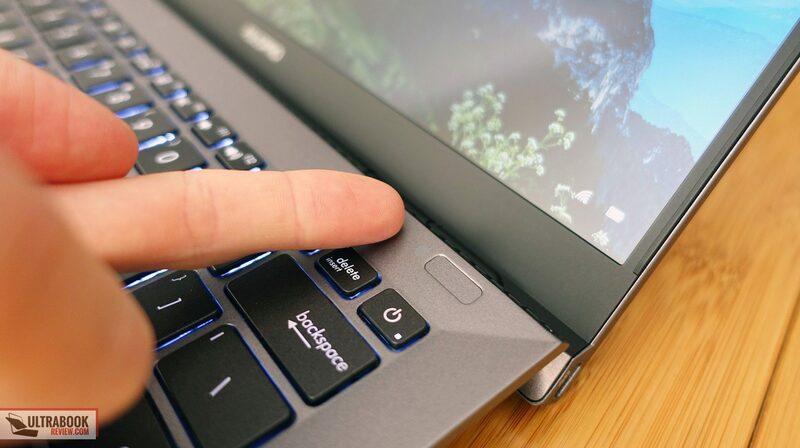 I’ll also add that there’s a fingerprint reader on this laptop, properly sized and placed in the top-right corner. It works well with Windows Hello. The screen is another main attraction of the B9440. 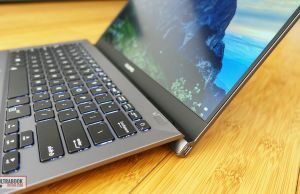 It’s 14-inches in size and gets very small bezels around it, just like on the XPS notebooks that popularized the concept as while ago. 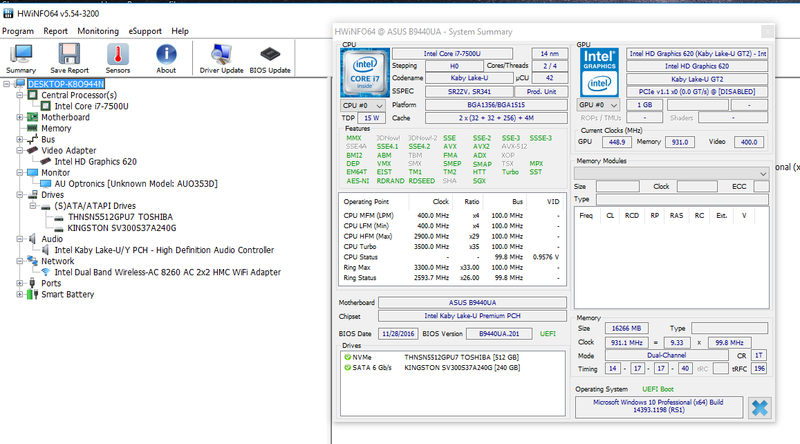 It’s also matte and overall a pretty solid IPS option with 1080p resolution. 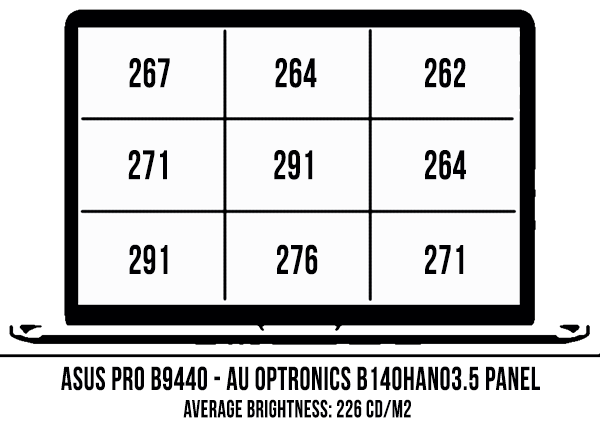 Asus went with an AU Optronics B140HAN03.5 panel with proper brightness, contrast and above average color coverage, as you can see below (taken with a Spyder4 sensor). 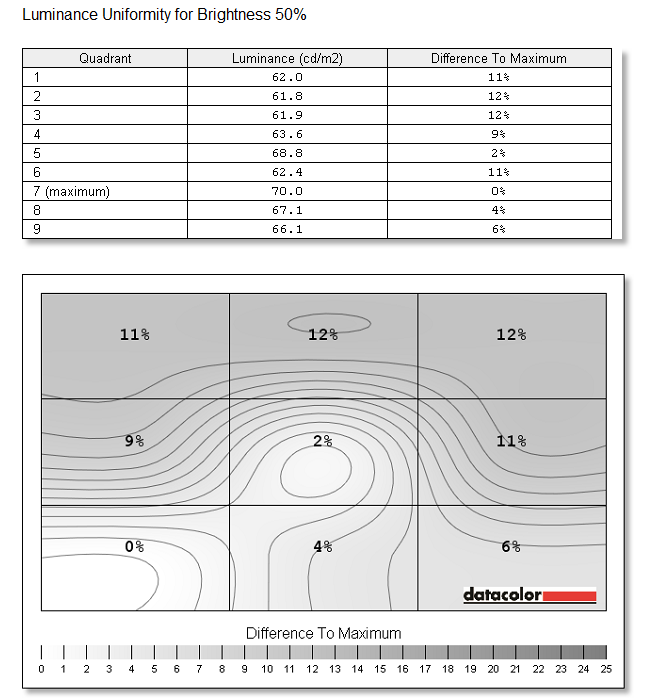 Average DeltaE: 1.78 uncalibrated, 1.45 calibrated. 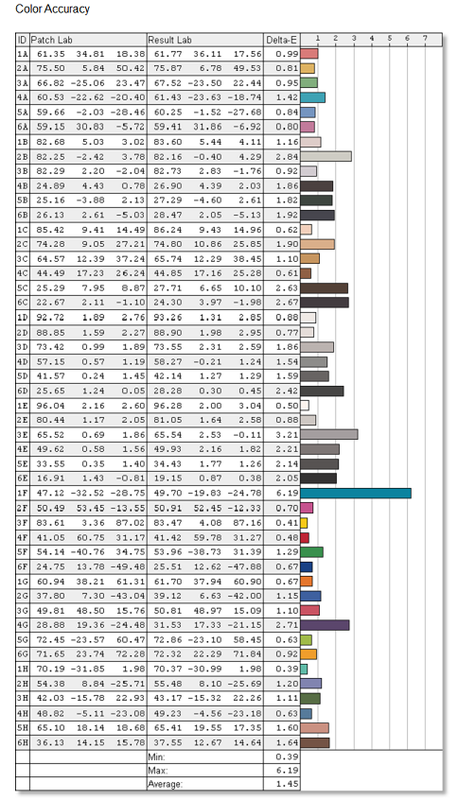 Gray levels and colors are a bit skewed out of the box, but can be improved with calibration (unfortunately I forgot to save the profile and can’t have it for you this time). 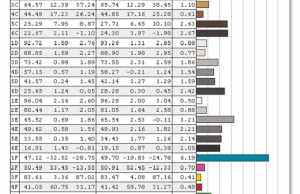 There’s also a fairly big uniformity variation between the brightness in the middle of the screen and towards the sides, but it didn’t bother me in everyday use, and I haven’t noticed any obvious light bleeding or PWM flickering. 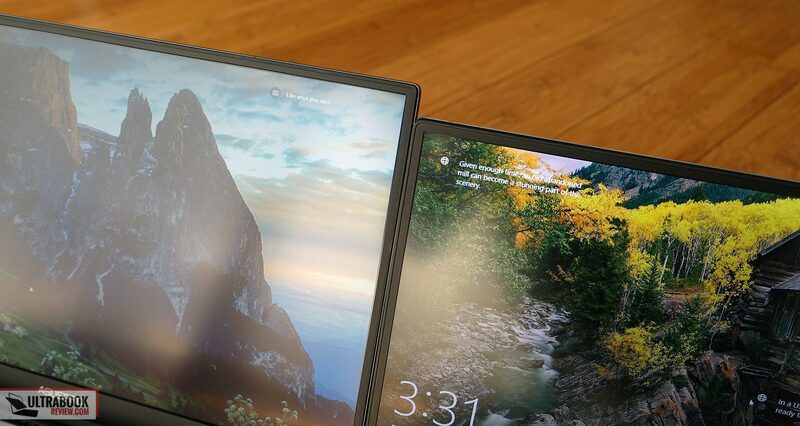 The screen is also well built and the bezels don’t pinch the panel, at least on our sample. 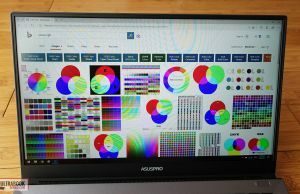 All in all this display is not necessarily ideal for color-calibrated work, but it’s one of the best you’ll find on a sub $1000 ultraportable, perfect for office work, multimedia content and even some occasional graphics. 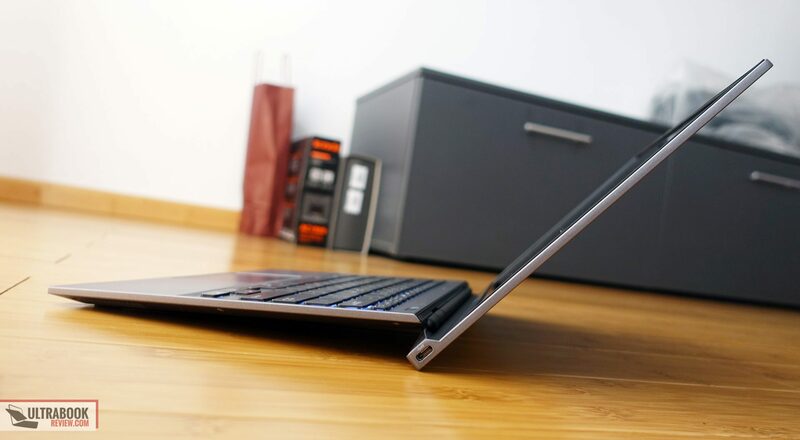 The hinge allows it to go back flat to 180 degrees on the back, which makes the laptop versatile in all sorts of conditions, not just on a desk. 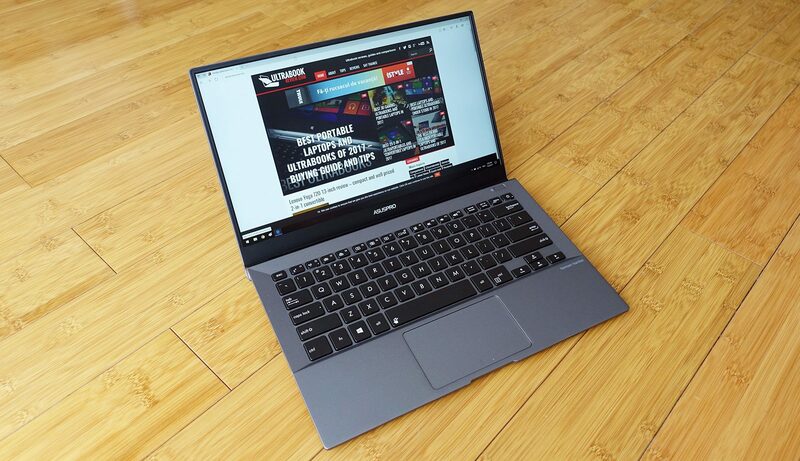 We got to test the highest end configuration of the B9440 with a Core i7-7500U processor, 16 GB of RAM and a fast 512 GB M.2 NVMe SSD. 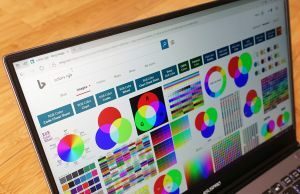 You don’t exactly need this for everyday use, for browsing, multimedia, documents and other casual and office activities. 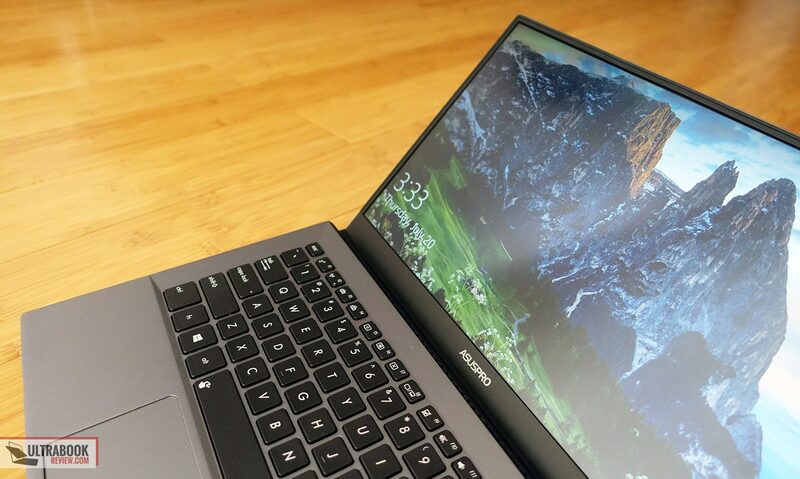 In fact, you’ll get the best value from the Core i5-7200U configuration with 8 GB of RAM and either 256 or 512 GB of storage, according to how much you’ll actually need. 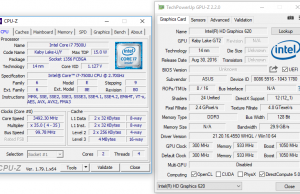 A configuration with the i5 processor and 16 GB of RAM would probably make sense for some, but is not available, so the only way to get the extra RAM is to buy the i7 as well, as both the RAM and the CPU are soldered on the motherboard. 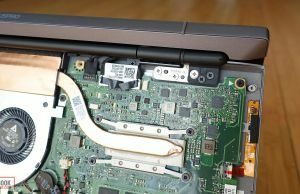 The SSD (M.2 80 mm), Wi-Fi chip and battery are accessible though, and for that you’ll need to get past the back panel, which is a very simple tasks as it’s hold in place by a few Philips screws, all clearly visible around the sides and corners. 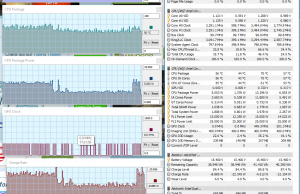 As far as everyday performance goes, our test unit was able to handle everything we threw at it with ease. 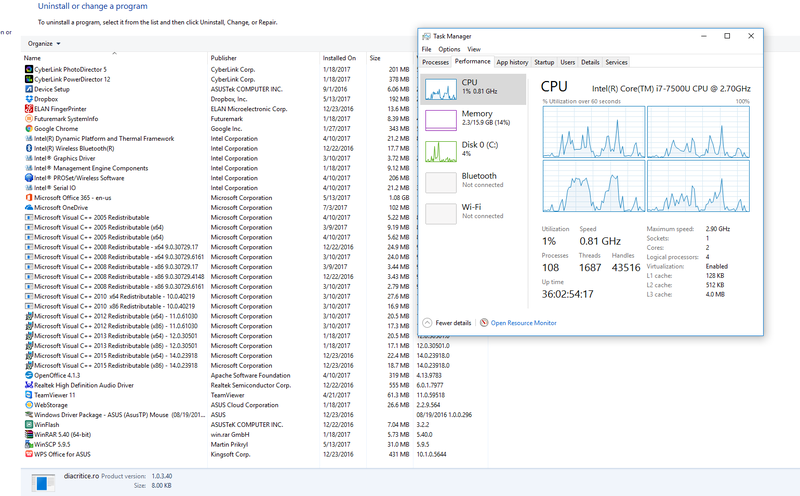 There is however a fair amount of preinstalled software, so I’d recommend getting rid of it or do a clean Windows install, especially if you get an i5 configuration. I’ve added details on speeds and internal temperatures with daily use scenarios below, and we’ll talk more about the fan noise and outer-shell temperatures in the next section. 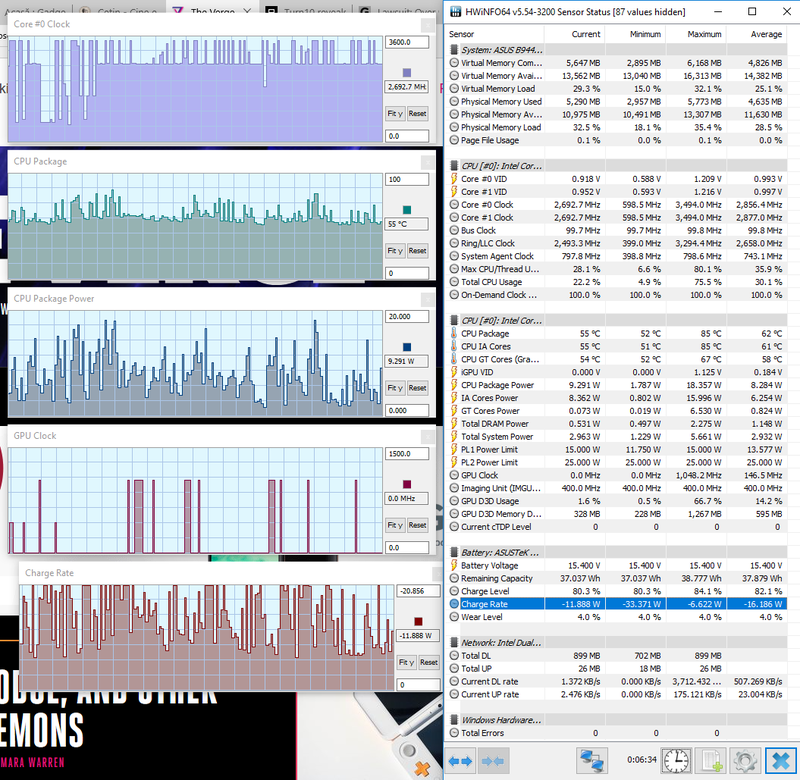 What we must address here as well is the performance in demanding loads like benchmarks and other programs that will put a constant high load on the CPU. 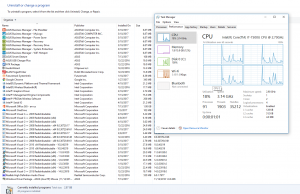 It’s not flawless, as the CPU’s package reaches high temperatures of around 90 C and as soon as that happens, the system drops speeds to stock levels. 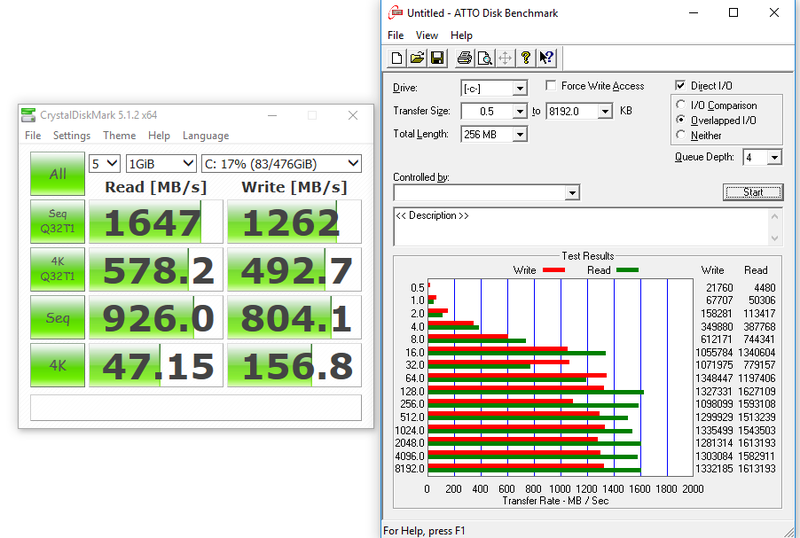 In other words, this laptop cannot maintain its 3.5 GHz TurboBoost speeds in constant loads and drops to only 2.7 GHz, something I experienced on two different units (the test sample and a retail model) and documented in the pictures below. 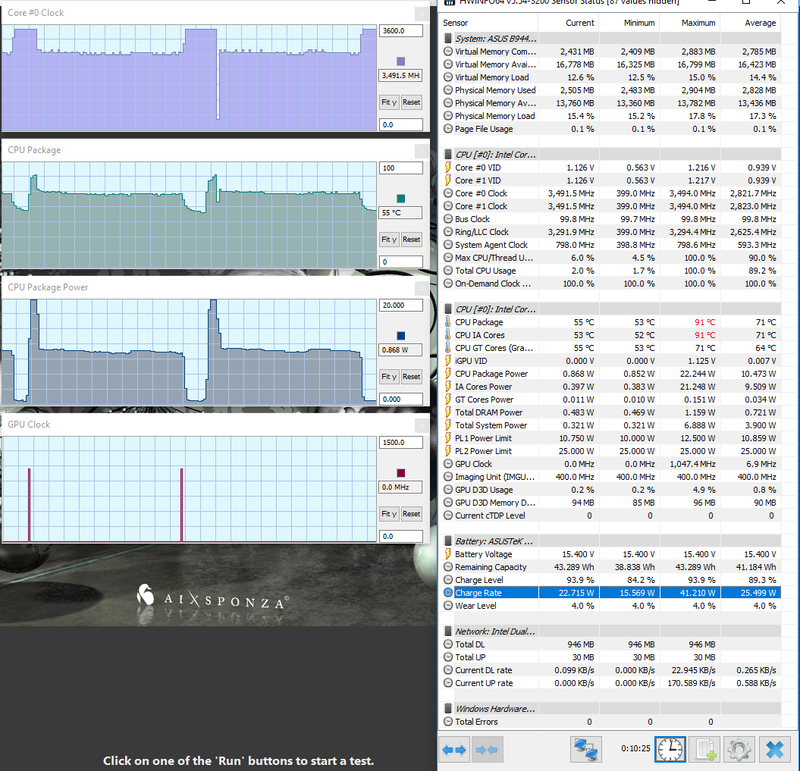 It doesn’t even take longer than a few seconds for the drop to happen, both Cinebench and in Lightroom when exporting a batch of pictures. We’re also not the only ones to notice this kind of behavior, as you can see in this other article from notebookcheck. 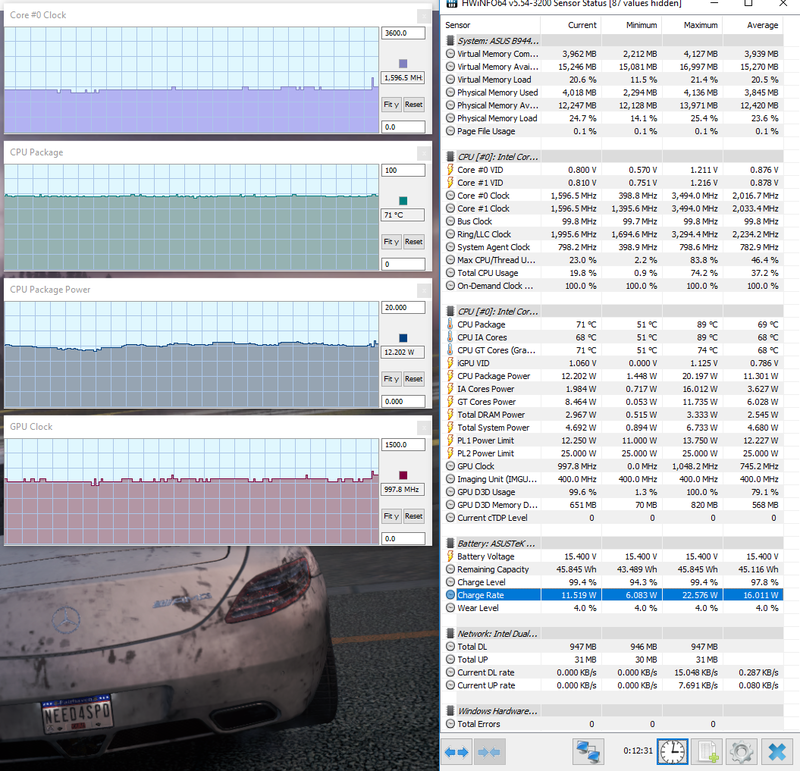 The CPU throttles more aggressively with games, but the GPU maintains proper speeds. 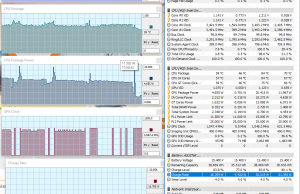 As far as performance in battery goes, it’s on par with the performance while plugged-in in similar scenarios. 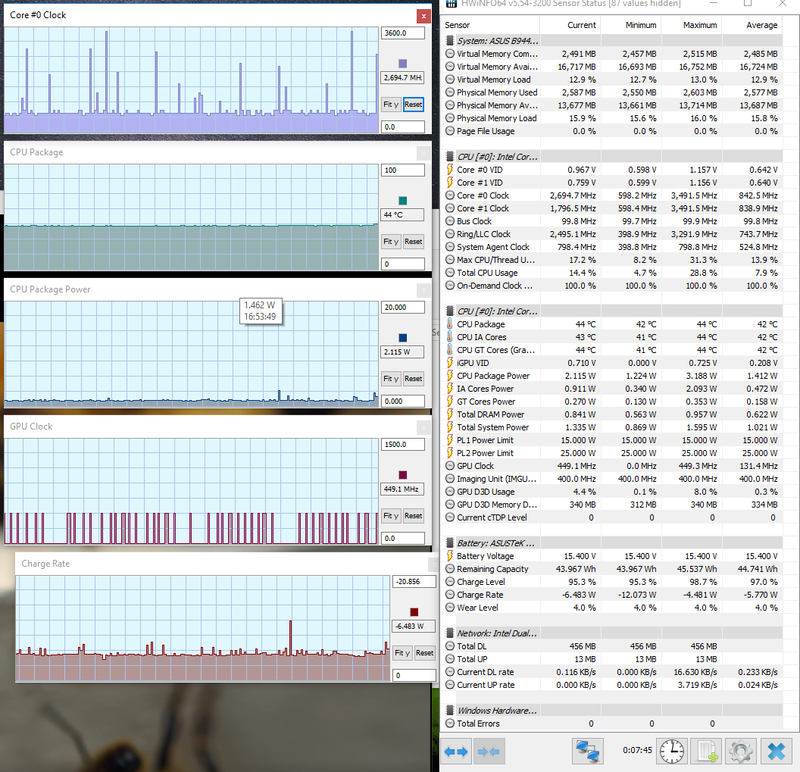 x264 HD Benchmark 4.0 32-bit: Pass 1 – 110.81 fps, Pass 2 – 19.78 fps. 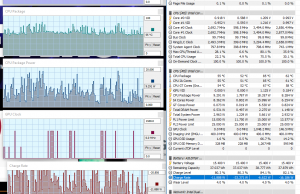 Bottom point, the B9440 with the Core i7 configuration handles everyday activities and even heavier multitasking well, but throttles in loads that put a constant stress on the CPU/GPU for more than a few seconds. 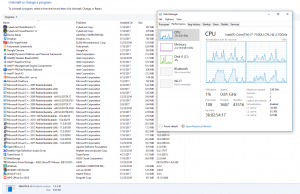 This means that first of all, you shouldn’t get this computer for such activities, and second, your money would be better spent on the more affordable Core i5 that also runs cooler should not throttle as aggressively. 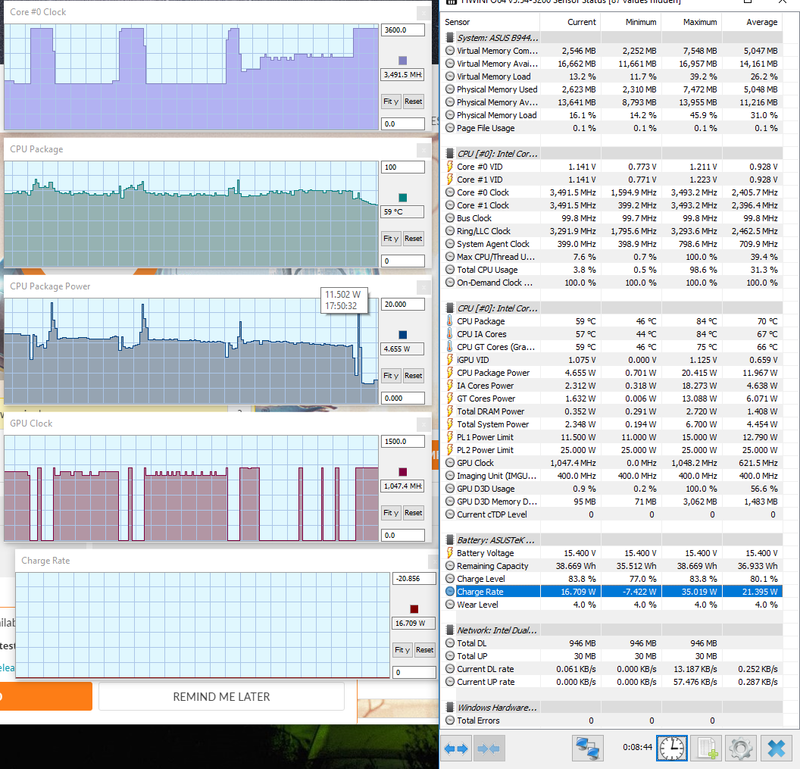 In fact, this article shows that the i5 model actually performs better than the i7 in constant loads. 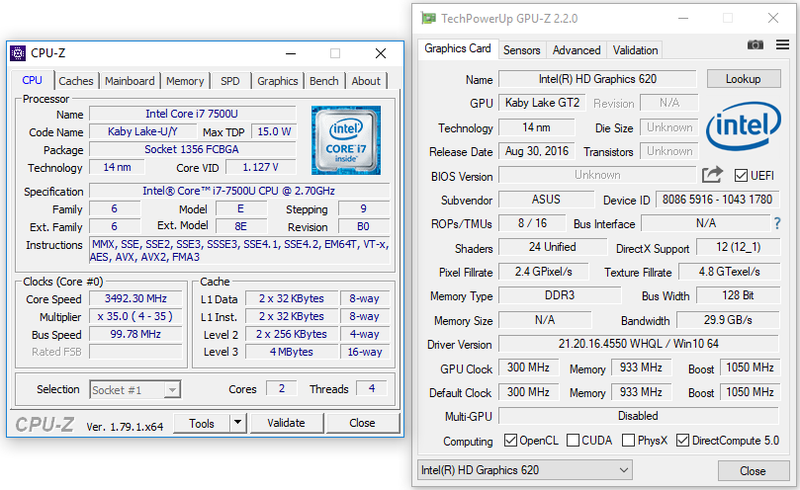 Of course, if you do plan to get the B9440 for demanding tasks you can try tweaking the temperatures by undervolting the CPU and perhaps reapply a better thermal paste. I can’t tell how well these tricks would work though (or if they would work at all), I didn’t get to do either of them on my test unit. 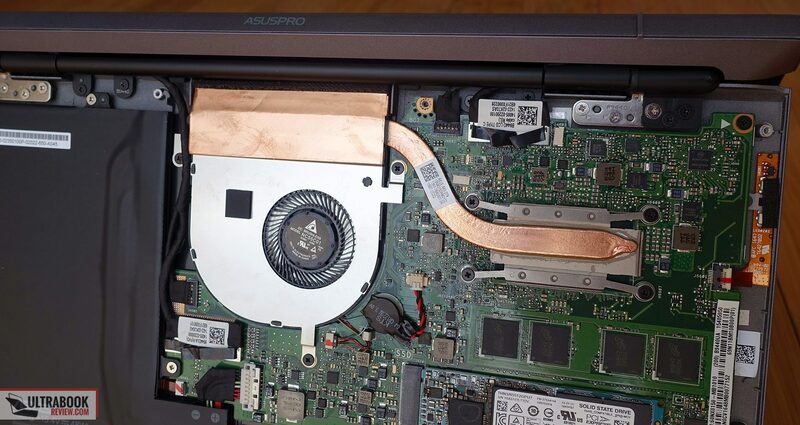 The cooling is adapted to the laptop’s height and similar to the one on the Zenbook UX490: a slim and small fan with a thin copper heatpipe. 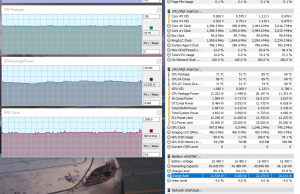 I don’t think there’s a lot more Asus could have done to make the cooling able to keep the i7 at bay, it’s just what you get when you’re space constrained. They could perhaps have created some bigger intakes on the belly, on top of the actual heatpipe. Anyway, the fan is active all the time, even with the more basic of tasks, so is more aggressive than it should be, like on most other Asus laptops. 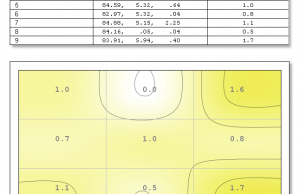 It’s not very noisy, we measured up to 38-39 dB at head-level, but you’ll definitely hear it in a quiet room. Multitasking and constant loads ramp it up to about 42-43 dB at head-level, which is quieter than with most other ulraportables. 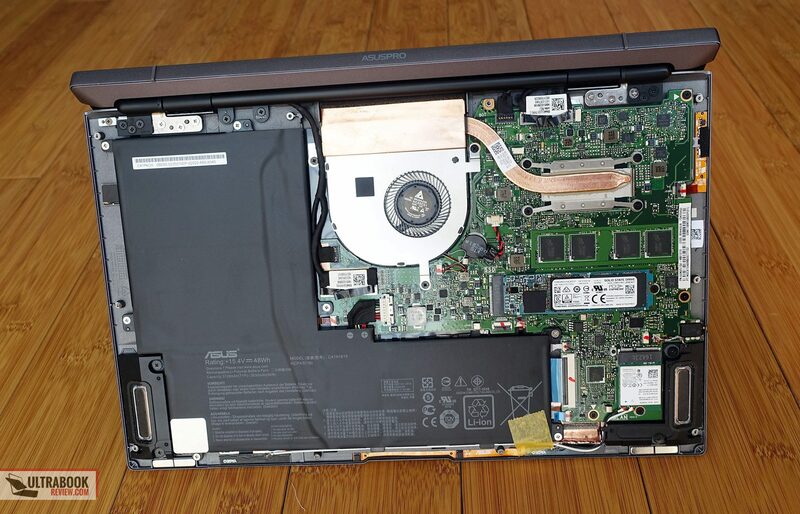 But while the outer shell reaches mid 30 temperatures with daily use, load temperatures go above 40s, with some region on the back getting close to 50s, which adds one more reason, if it was needed, why this laptop is not meant for demanding tasks. For connectivity there’s wireless AC and Bluetooth 4.1 on the B9440. 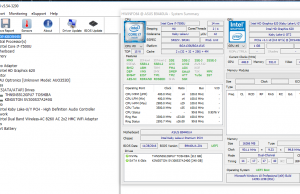 Asus went with an Intel 8260 module on our sample, which is a known solid performer and did not disappoint here either, nor near our router or at 30 feet with two walls in between. The speakers are placed on the underbelly and they sound fairly good, with clear and rich sound and no distortions. They’re not very loud though, we only measured volumes up to 74 dB at head level with the songs we usually test on laptops, but they’re good enough to fill up a moderately sized room. 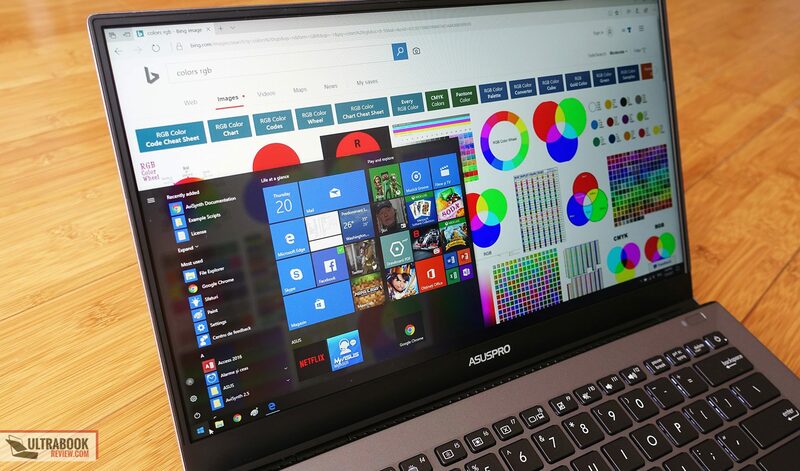 One thing to add here is that there’s no webcam on the Asus B9440, not even below the screen like on other laptops with very narrow screen bezels. There are however two microphones, placed on the front lip. 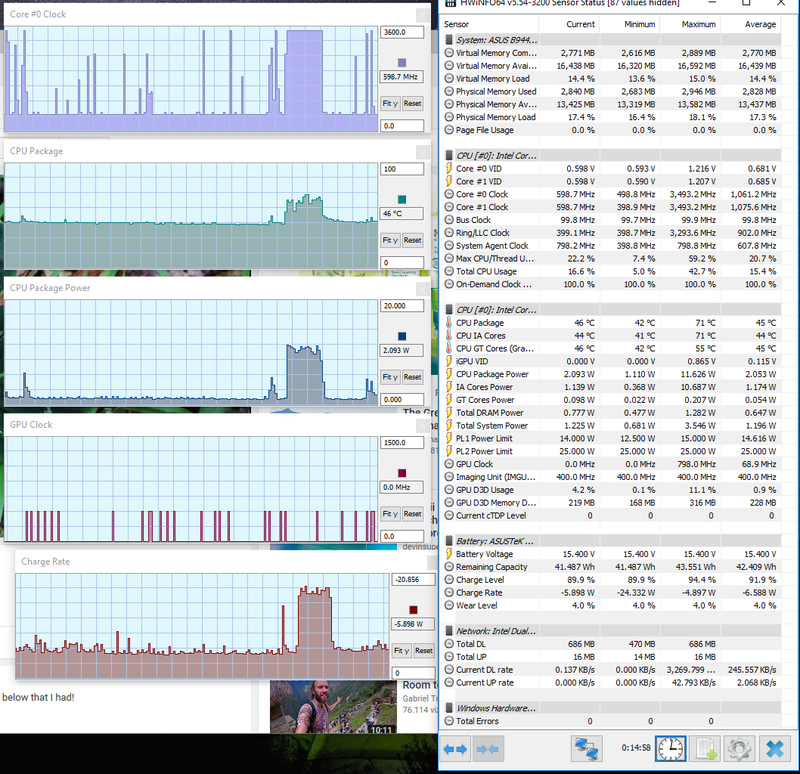 8.5 W (~5 h 30 min of use) – everyday browsing in Edge, Power Saving Mode, screen at 30%, Wi-Fi ON. 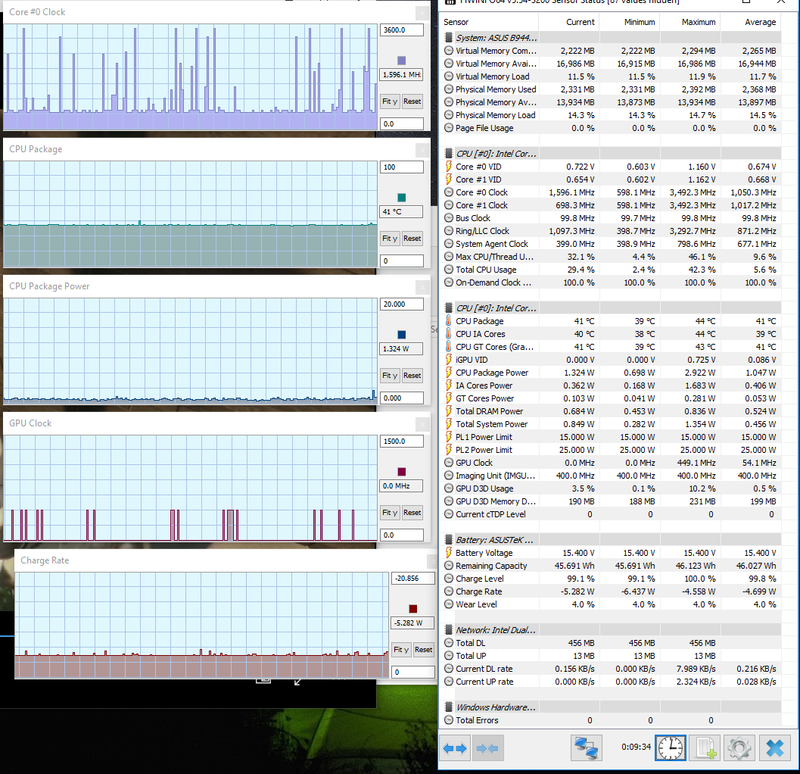 I do have to add that the Balanced mode was too aggressive on our sample, causing the CPU to spike up more often than it should, which lead to a rather inefficient experience in activities that involved any sort of browsing. Switching to the Power Saver mode helps extend battery life in all cases, but especially when editing documents in Google Drive and browsing. 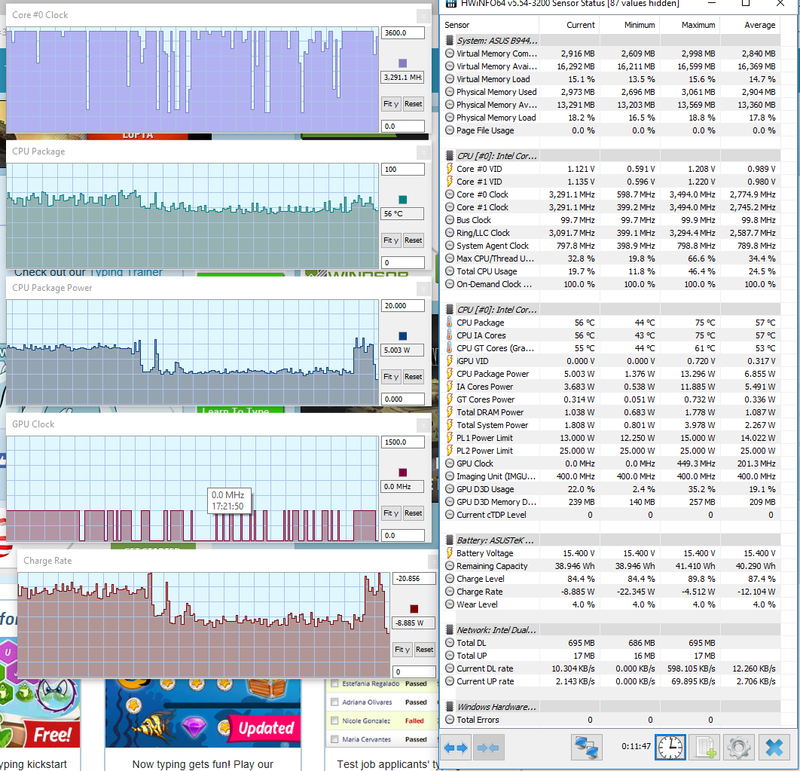 Everyday browsing on Power Saving can get sluggish though. 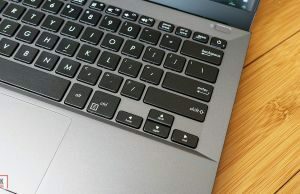 It’s worth noting that this laptop comes with a fast-charging power brick that provides 0 to 50% charging in 30 minutes. 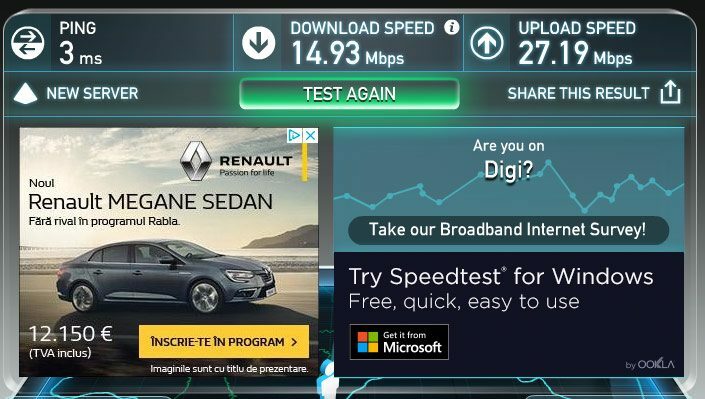 That’s better than nothing, but doesn’t compensate for the lack of battery capacity and aggressive CPU behavior, because is not going to help when you’re on the go and don’t have a wall to plug this into. 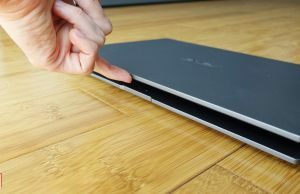 The laptop charges via USB-C, but I don’t think you can use power banks to charge it. It’s something you should look into though. There’s a compact 45 Wh power brick in the pack, which weighs about .33 kg with the included cables. It’s an USB-C charger, as mentioned above. 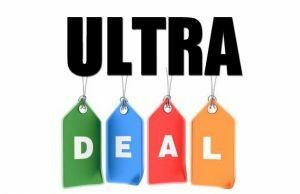 $1299 / 1399 EUR – Core i7-7500U CPU, 16 GB of RAM, 512 GB SSD. You should follow this link for updated configurations and prices at the time you’re reading the post. 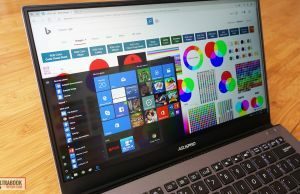 There’s no way to create custom configurations as far as I can tell, which is standard for business laptops with most other OEMs. There are so many things Asus did great with this Pro B9440 laptop that make its quirks even more annoying, knowing what a great machine this could have been with just a few tweaks. 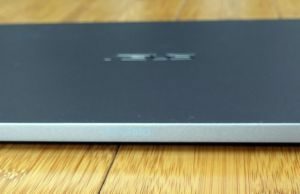 The obvious limitations are the lack of a webcam and the IO that only comes with two USB-C ports without Thunderbolt 3. 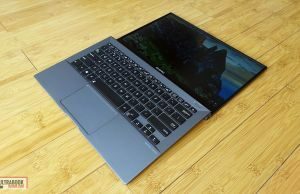 But my main nit with the laptop is the fact that Asus tried too much to make a “different” product, that ended up somewhat sacrificing practicality on the final product. 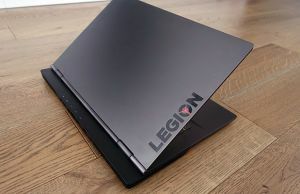 The form factor and their quest for thinness and reduced weight left little room on the sides for ports and little room inside for a proper battery and a proper cooling solution that could keep a Core U i7 processor at bay in demanding loads. 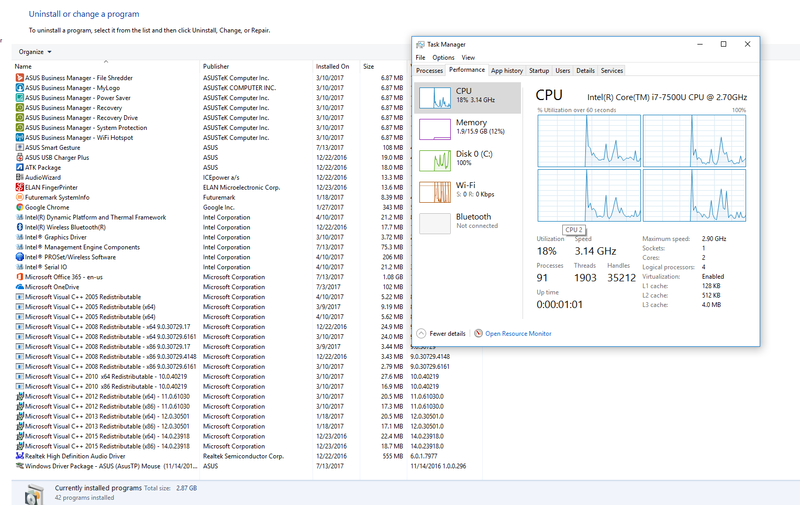 As a result, I can’t recommend getting the Core i7 configurations of this laptop and I wouldn’t recommend buying it for demanding loads, for Photoshop, Lightroom, Premiere and other specialized software you might want to run on a computer in a work environment. On the other hand, there’s very good value in the $1000 Core i5 configuration which can be an excellent choice for a regular user with regular expectations and demands, like browsing and multimedia and text editing, etc. 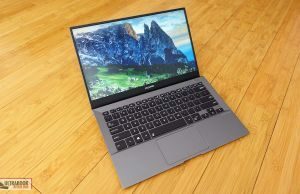 If that’s you, $1000 will get you a thin-and-light laptop with an excellently built shell, an excellent keyboard, a nice matte screen and capable speakers, as well as a laptop that can handle those aforementioned tasks smoothly, while running fairly cool and quiet. 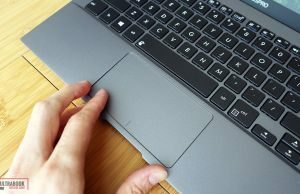 Battery life should still be a concern though, as you’ll realistically get about 4 hours of actual use (longer for multimedia content) on a charge, but this, the always active fan and the fact that you’ll need to buy adapters to hook to those USB-C ports would be the only aspects that could potentially steer you towards something else. 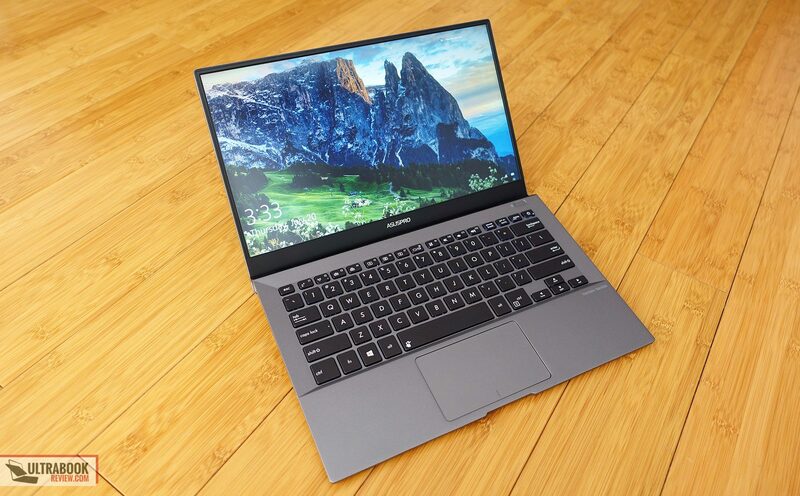 Something like the Asus Zenbook UX430 or the LG Gram 14 for instance, thin and compact 14-inchers with bigger batteries and more ports, or even the Zenbook UX490UA, with its distinguished design. 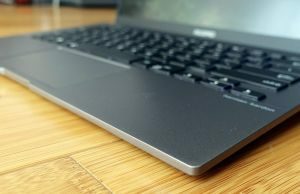 Check out this post for more suggestion on 14-inch ultraportables. 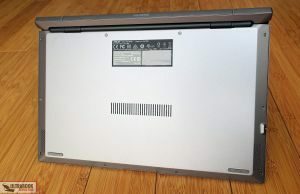 As a professional looking for a powerful and compact ultraportable though, the Dell XPS 13 / Latitude 14 7000 series or the Lenovo ThinkPad T470s / X1 Carbon lines will cover all those boxes that the Asus Pro B9440 leaves unchecked: consistent performance, better cooling, bigger batteries, more ports. They are however heavier and hundreds of dollars more expensive. 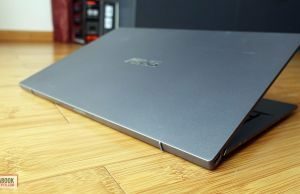 That wraps-up our review of the Asus Pro B9440, but don’t hesitate to gets in touch in the comments section below if you have any feedback, anything to add to the post or any questions about the laptop. I couldn't wait for your review to buy this ultraportable. 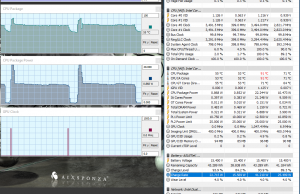 The only thing I could miss, except a larger battery, is the webcam. But I was aware of this before to get one. 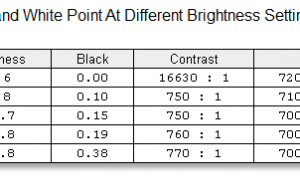 Too bad for the screen calibration profile. 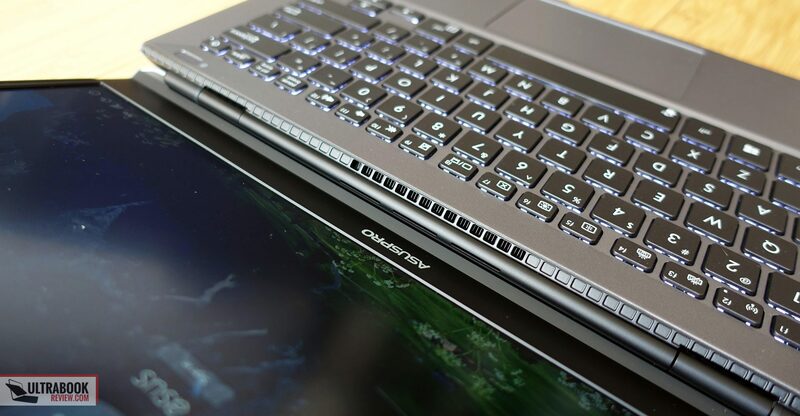 But I can confirm that the keyboard lits up when swiping the touchpad. Thanks, I'll add that to the post. 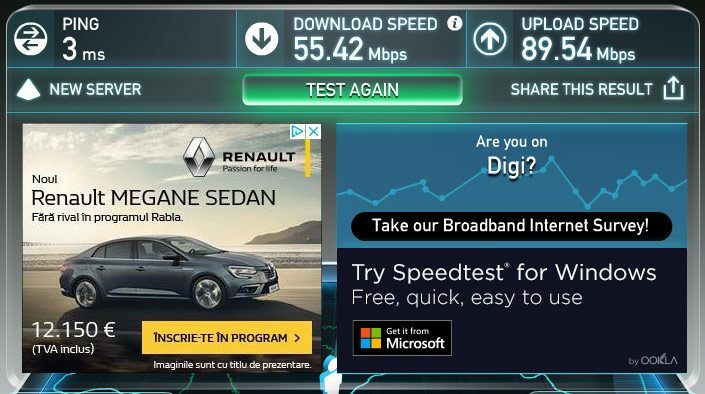 Hi Andrei, could you please clarify what version of HDMI is compatible? Is it possible to plug 4k display @60Hz? 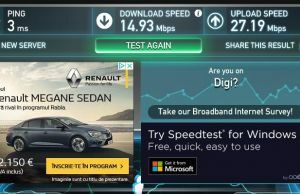 Haven't tested it at that time and no longer have the unit around.